Cookware success is measured by performance, and American Kitchen Cookware collections definitely measure up. Not only does our tri-ply stainless steel cookware provide superior heat conductivity, but it also performs at a professional cooking level. With a pure aluminum center molded between two layers of premium stainless steel, our pans are beautiful, functional, and extraordinarily durable. 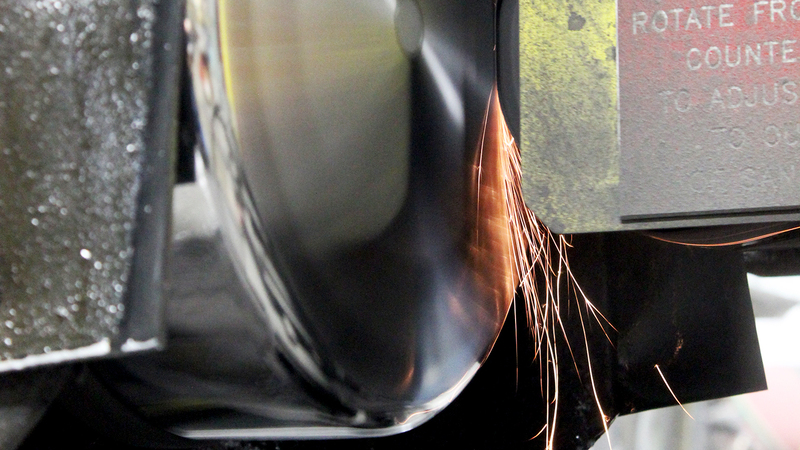 Why combine aluminum and stainless steel? For cookware, two is better than one. Aluminum is an incredible conductor of heat but it lacks in retention. Stainless steel can hang onto heat forever but it doesn’t share it evenly. When you layer these two metals next to each other and apply a little pressure, you get a pan that holds heat from the cooktop to the rim, making every part of your pan an ideal surface for cooking up perfection. But these pans do more than perform on the stove; they’re dishwasher-safe AND suitable in the oven up to 500 degrees (400 degrees for nonstick). “The uniformity of heat distribution throughout the entire cooking surface of these pans will make an average cook, great. Not all steel is created equal. The inside layer of our pans (the one that touches your food) is premium 18/10 stainless steel, which gives you extraordinary durability and high stain and stick resistance. 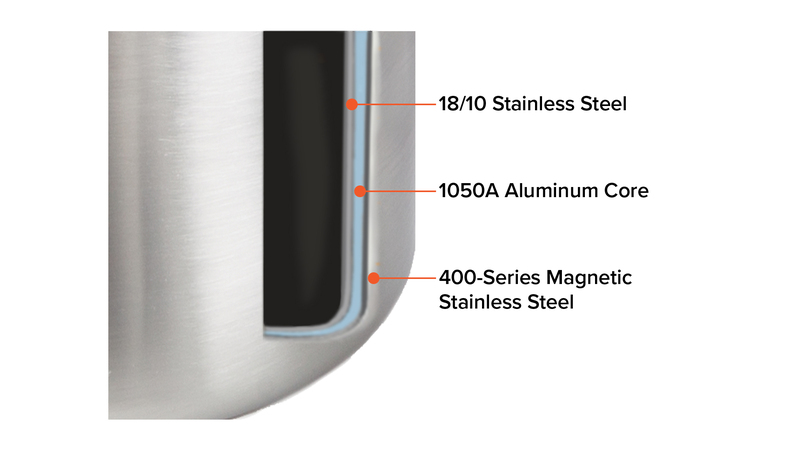 The exterior cookware surface is high-density 400-series magnetic stainless steel, which means you can use it on any cooktop from gas to glass, including induction stovetops. Our aluminum core layer is made of commercial grade 1050A aluminum and extends from the base up through the top edges to ensure even heating on every surface of our pans. The combination of these three materials results in the best pots and pans on the market! We’re so confident in the quality of our cookware that we offer a lifetime warranty on all our stainless steel cookware, nonstick cookware, and cast aluminum cookware. We stand behind our products and we know that once you’ve used them, you will too. And once you’ve purchased a tri-ply product, extend the beauty and performance of your cookware with our Stainless Steel Cookware Use & Care guide.